Laura Nyro was an American singer-songwriter and musician. Known for her innovative composition skills and forceful vocal phrasing, she was one of most original figures in the history of pop music. Born in the Bronx, New York City on April 8, 1997, her father was a piano tuner and jazz trumpeter. Nyro developed an early interest in music and composed her first song when she was only eight years old. She started singing on New York City street corners as a teenager. 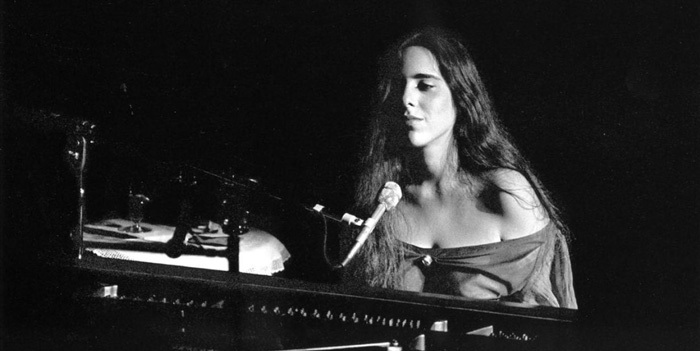 Laura Nyro made her first extended professional appearance at San Francisco’s hungry i coffeehouse. She was offered a contract by record company executive Artie Mogull in 1966. Still a teenager, Nyro was greeted with boos during her Monterey Pop Festival performance. Her confessional style received widespread critical acclaim when she released her debut album, More Than a New Discovery, the next year with the Verve Folkways label in 1967. Her popularity was confirmed by a string of hit records, including “Wedding Bell Blues”, “And When I Die”and “Stoney End”. Her second album Eli and the Thirteenth Confession was released with Columbia records in 1968. Her new contract with Columbia gave her better artistic control and freedom to experiment. Highly praised by the critics, it spawned more hits, including “Eli’s Comin'” and “Stoned Soul Picnic”. Her follow-up albums, New York Tenadaberiy (1969) and Christmas and the Beads of Sweat (1970), also garnered good reviews. Nyro disappeared from public view for most of the ’70s and ’80s, reluctant to compromise her artistry for public consumption. She was diagnosed with ovarian cancer in 1996. She died of ovarian cancer in Danbury, Connecticut in 1997. She was only 49 years old. Laura Nyro was inducted into the Rock and Roll Hall of Fame in 2012. Laura Nyro married Vietnam War veteran David Bianchini in 1971. The couple divorced in 1975.